1 – The archive button allows you to send the report to your archive folder for future keeping. This button is only visible if you have an active Travian Plus subscription! 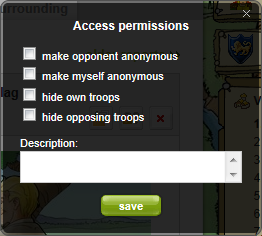 2 – The access permissions button allows you to edit what other players will see when the report is shared with them. I will explain this in more detail below. 3 – The delete button will delete the report. Be careful with this button! 4 – The combat simulator button will take you to the combat simulator at your Rally Point, with the information from the report that is available to you filled in already. With this you can use the combat simulator to experiment with the attack. 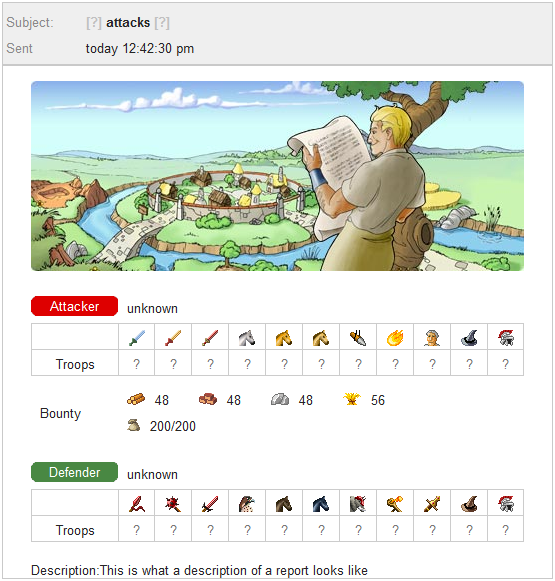 5 – If you have an active Travian Plus subscription and you were the attacker in the report then you can use the repeat attack button. 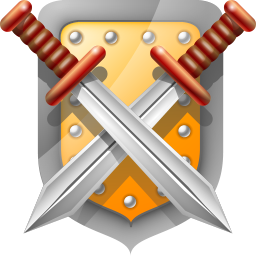 As the name of the button suggests it allows you to quickly repeat your attack. Clicking on this button will not instantly send the attack again, instead it will take you to the Rally Point with the attack ready to send straight away (you can still adjust the attack before sending it from here). 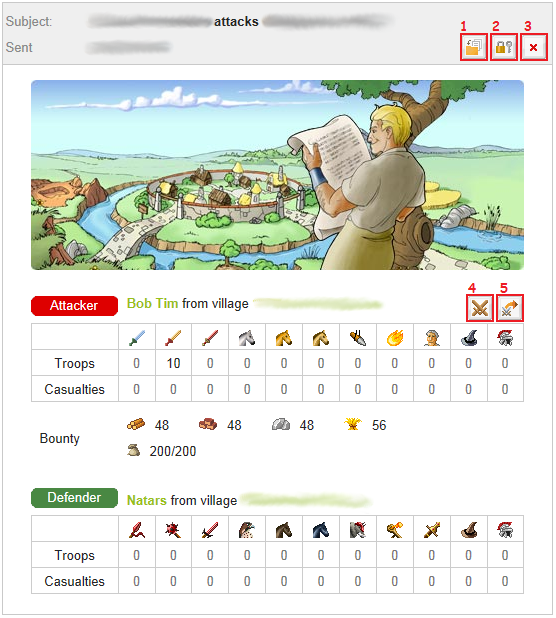 If you have multiple villages you will need to be viewing the report in the same village you sent the attack from if you would like to repeat it from the same village, since clicking on the repeat attack button will take you to the Rally Point of the village you are currently in.